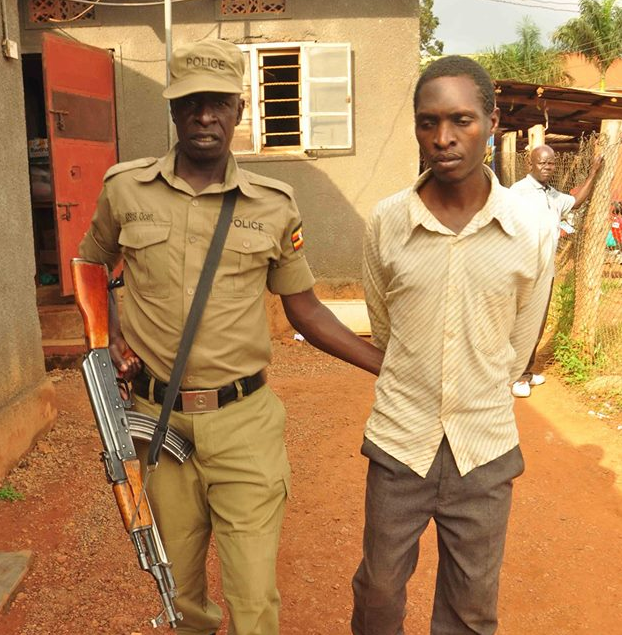 KAMPALA– Police in Kampala has in custody a man identified as Daniel Kasule 32 for allegedly defiling a 7-year old girl in Nansana. According to police reports, Kasule a resident of Ganda Nansana seduced the victim when her mother Teddy Nakimbugwe was away from home, defiled and gave her Shs500 not to tell anyone. Nakimbugwe, a fish seller at Jenina stage says that she first got the sad news from her neighbour one Margaret Kobusingye who always helps her with the kids while she is at work. She says that her friend Kobusingye told her how she had heard the victim narrate to her friends how Kasule had slept with her and gave her Shs500 to keep quiet. “When I reached home, Kobusingye told me that my daughter had told her friends that Kasule had defiled her. I just got my daughter and we went to Nansana Police Station, where she was taken and examined by a police doctor. I wasn’t told about the results,” said Nakimbugwe. SP Benard Katwalo, the DPC Nansana said that the suspect was later arrested and charged with aggravated defilement on CRB No. 946/2018. He also urged parents to always get time off their busy schedules discuss with their children, noting that if it hadn’t been Kobusingye to eavesdrop on what the children were talking about, this defilement incident would have passed.